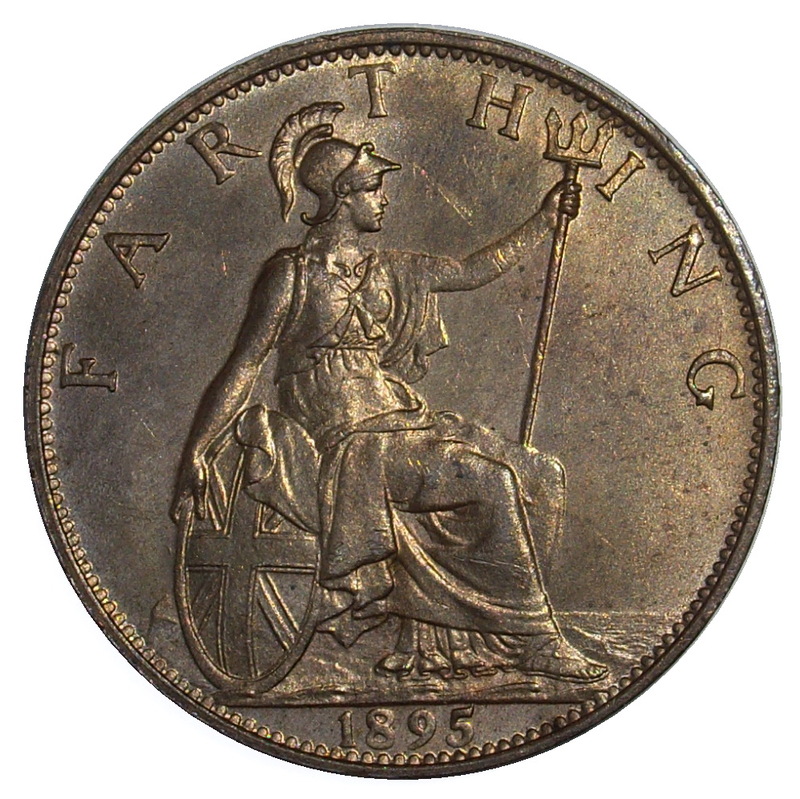 Farthings dated 1897-1901 were artificially darkened to prevent any confusion with the half sovereign. Victoria’s diademed bust facing left, the diadem is partly covered by a veil which also drapes over the shoulder. Victoria is wearing the Garter Riband and star, a drop earring, a necklace and also a pendant. The engravers initials T.B. are raised and located below the bust. The legend which reads “VICTORIA.DEI.GRA. BRITT.REGINA.FID.DEF.” virtually encircles the bust. The legend is an abbreviated translation of “Victoria by the Grace of God, Queen of the Britains, Defender of the Faith” The border consists of teeth, and the teeth sit inside a small raised rim. Seated Britannia facing right, wearing a plumed helmet and long flowing robes. Her right hand rests on a large oval shield bearing the combined crosses of the Union Flag, and the right hand is holding a plain trident. 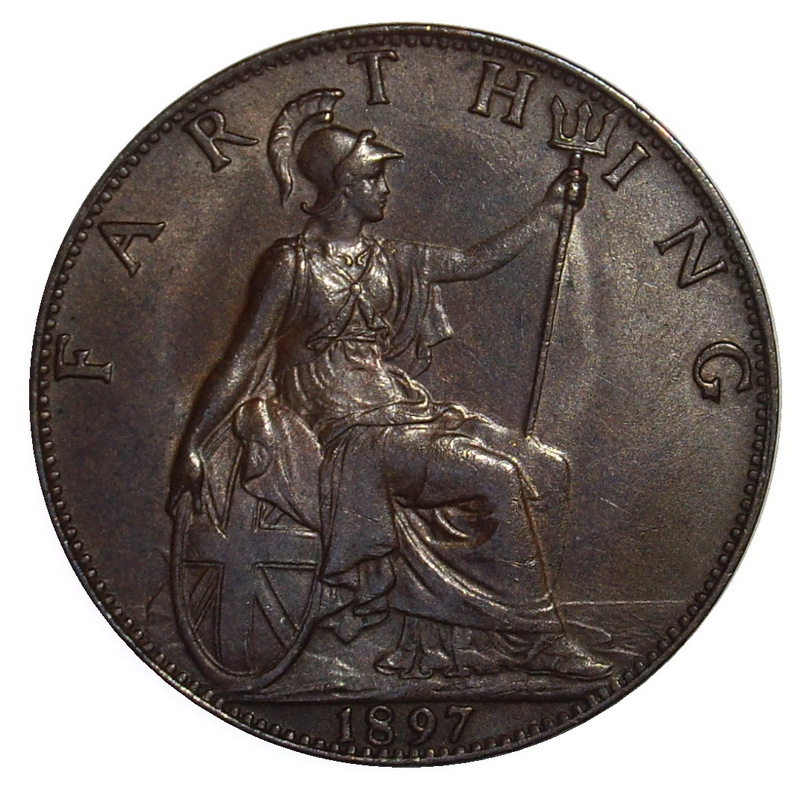 The denomination “FARTHING” is above, and the date is in exergue. The border is toothed, and the teeth sit inside a small raised rim. Similar to Reverse A, with seated Britannia facing right wearing a plumed helmet and long flowing robes. Her right hand rests on a large oval shield bearing the combined crosses of the Union Flag, and the left hand is holding a plain trident. 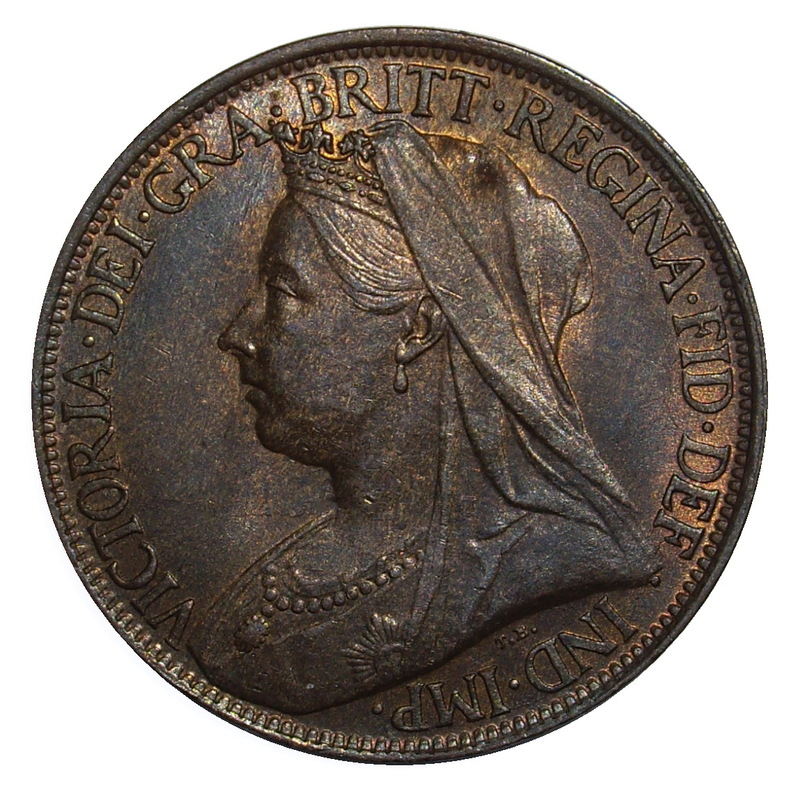 The denomination “FARTHING” is above, and the date is in exergue. The border is toothed, and the teeth sit inside a small raised rim. The design has been amended slightly, resulting in a marginally higher horizon.